Can you record to a memory stick and if so how is this done? If you are using a memory stick how many gigs should it have? What are you using to record your scans? 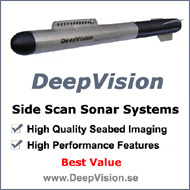 Using the Deep Vision software how do you determine how far off the bottom the fish is flying? 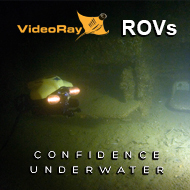 The Deepvision scans are first recorded to your computer hard drive. Then you can save the scan files onto a memory stick, CD, or DVD. I checked some of my scan files and was recording somewhere around 25 Mb per hour of searching. I am using a laptop computer and save the scans on the hard drive then save them on CD's. To determine the distance of the bottom below the towfish you will see the water column which is the dark area between center of the screen and when the bottom is first detected. There is a scale that is displayed at the top of the screen and you can get a pretty good indication of the bottom below the towfish. For more precision there is a measuring tool that you can click on and get an even more precise measurement. Want to post an answer? Join now for free to answer this question. Already have an account? Login to answer. The way the drawing shows the gears it would just go around in circles counterclockwise, what is the real gear pattern? I am wondering if i can use sonar in a cave , in a submerged part of the cave ,any suggestions?